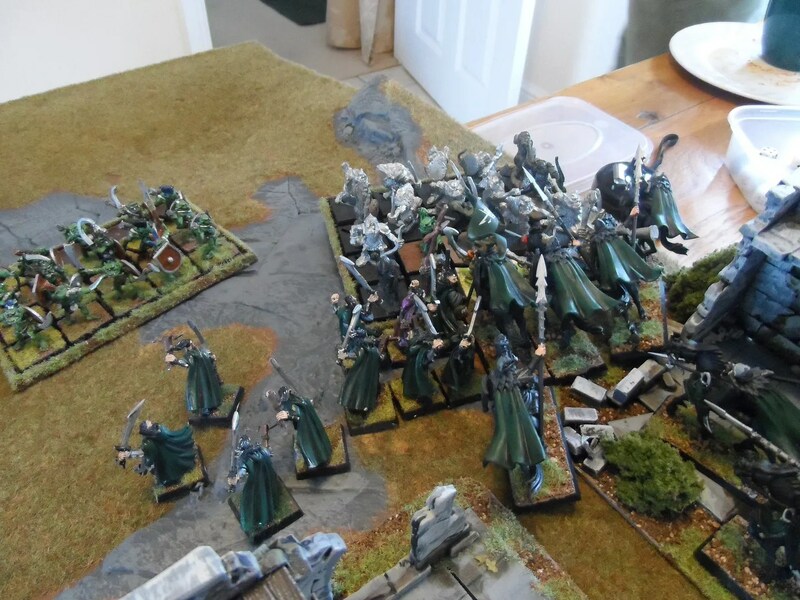 My first re-blog, but a useful reminder be careful of buying some golden oldies that are still available. 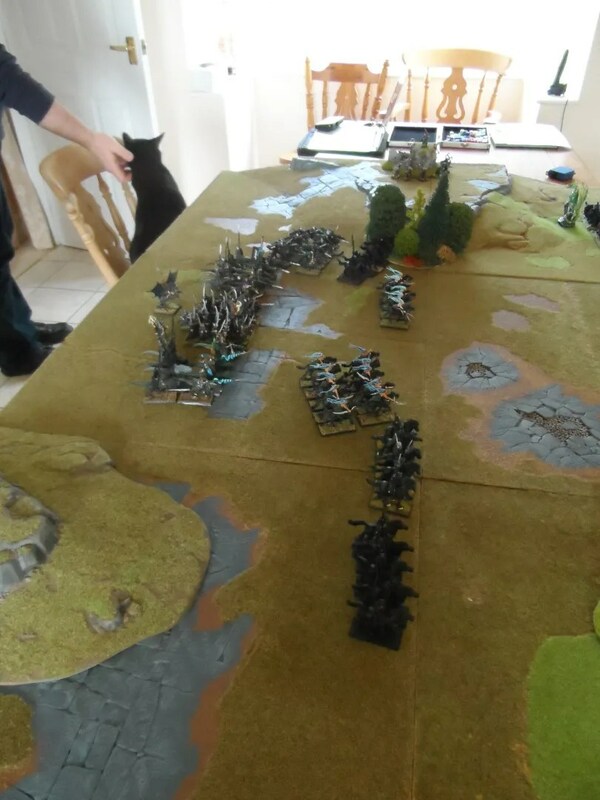 So Monday before last, Byakhee Roo and I upgraded our forces to 750 points each to expand our options and so that Roo could learn some more. 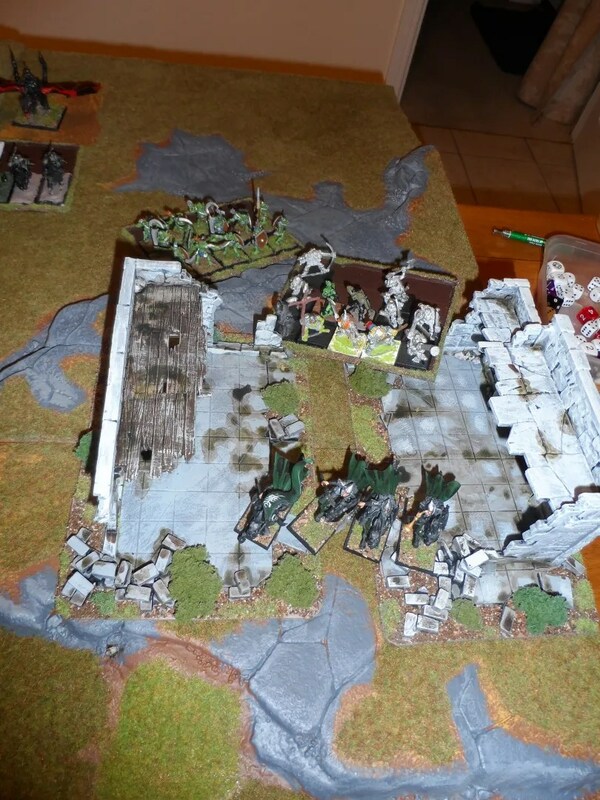 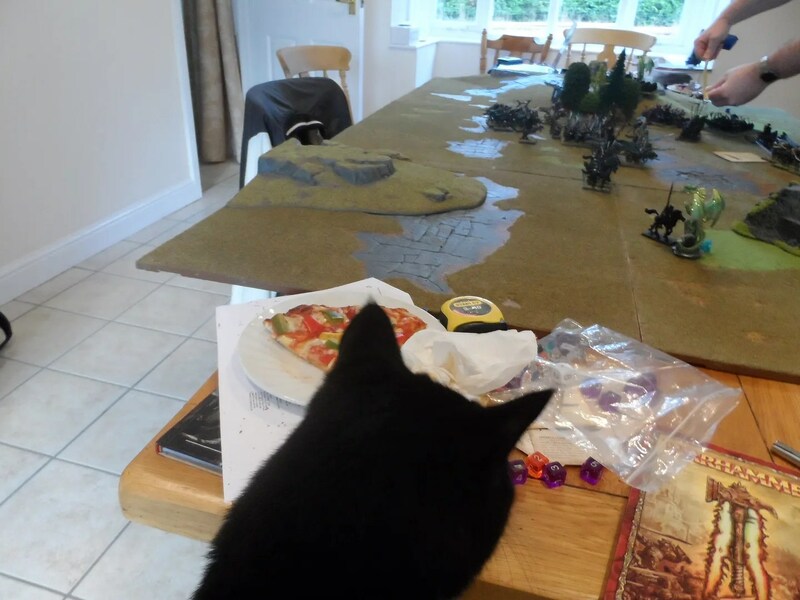 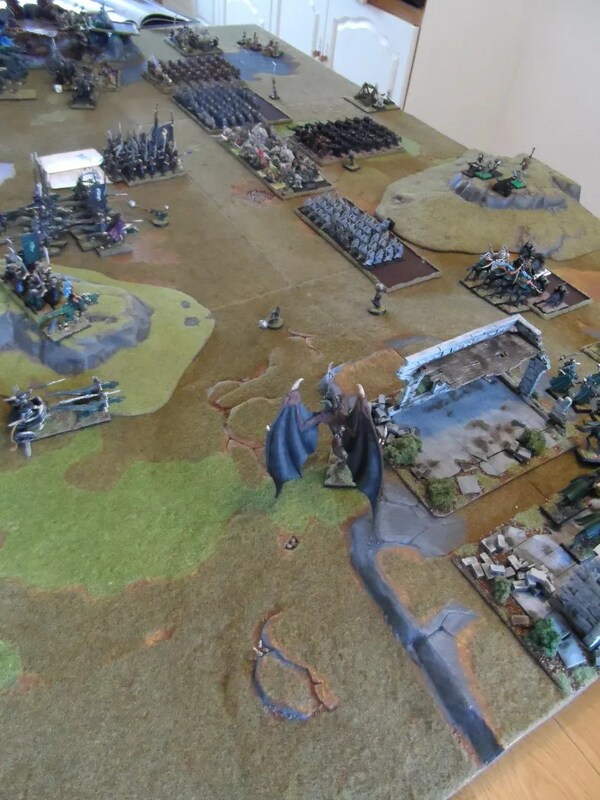 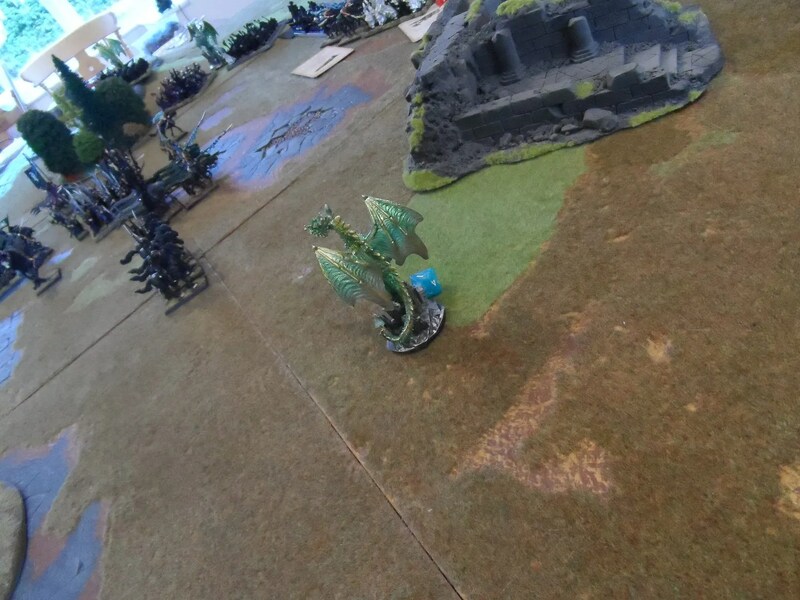 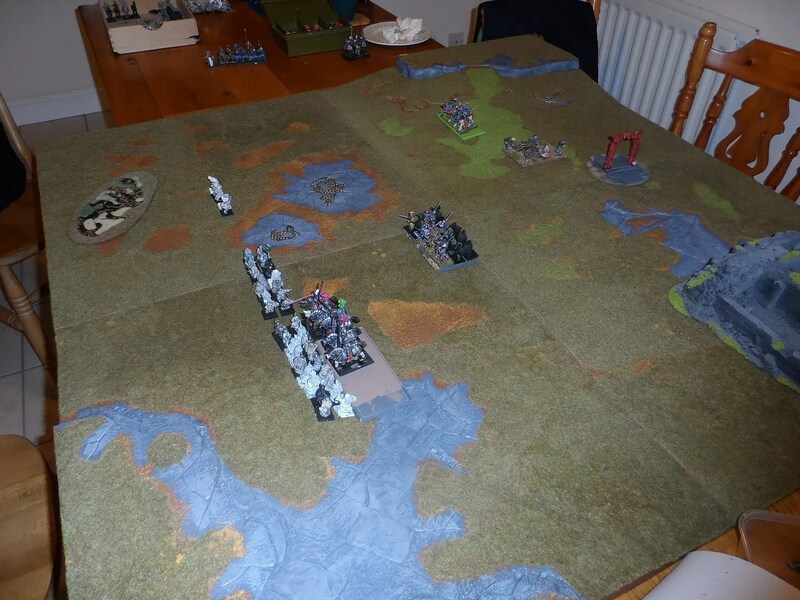 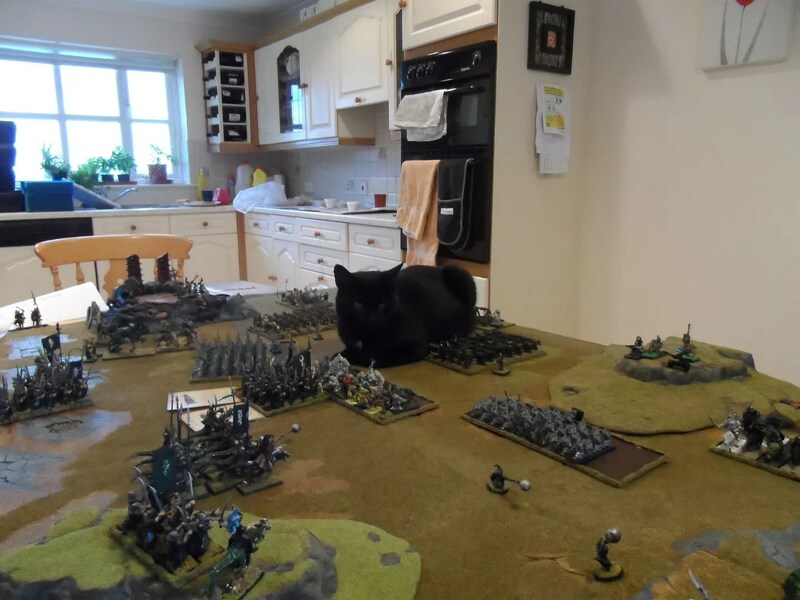 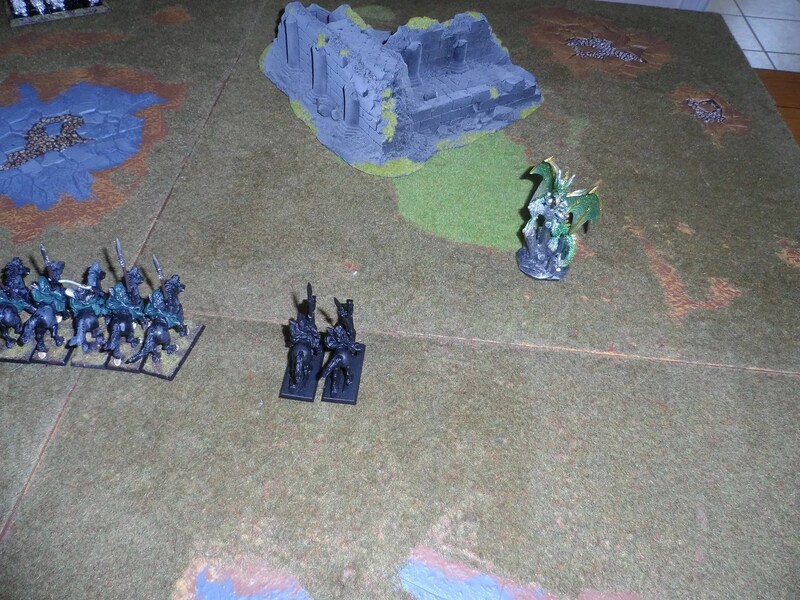 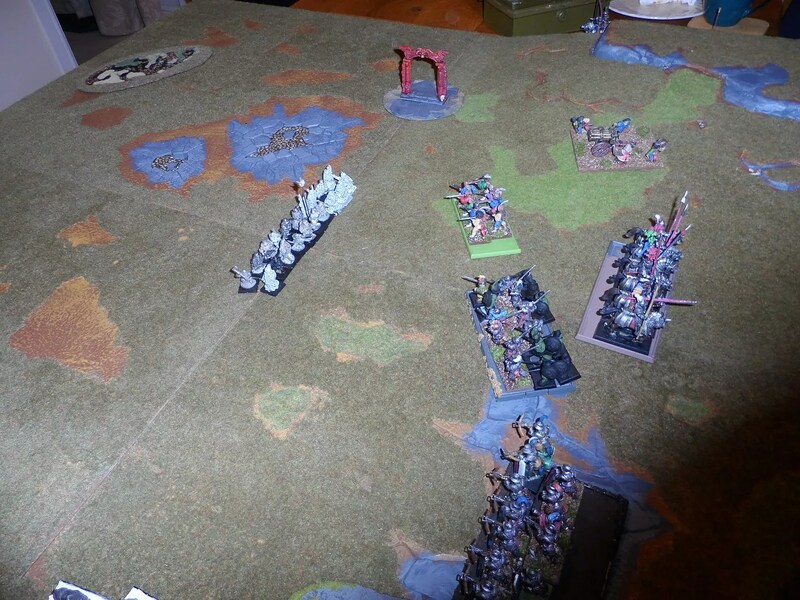 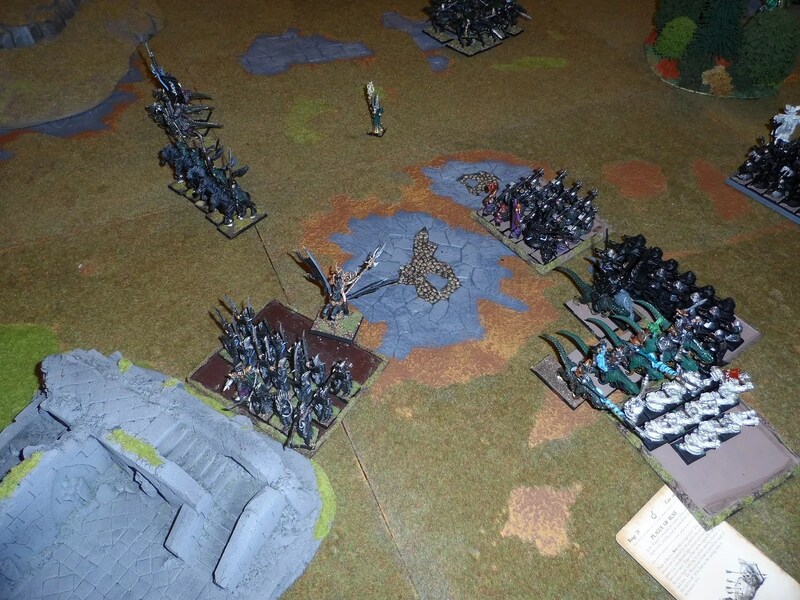 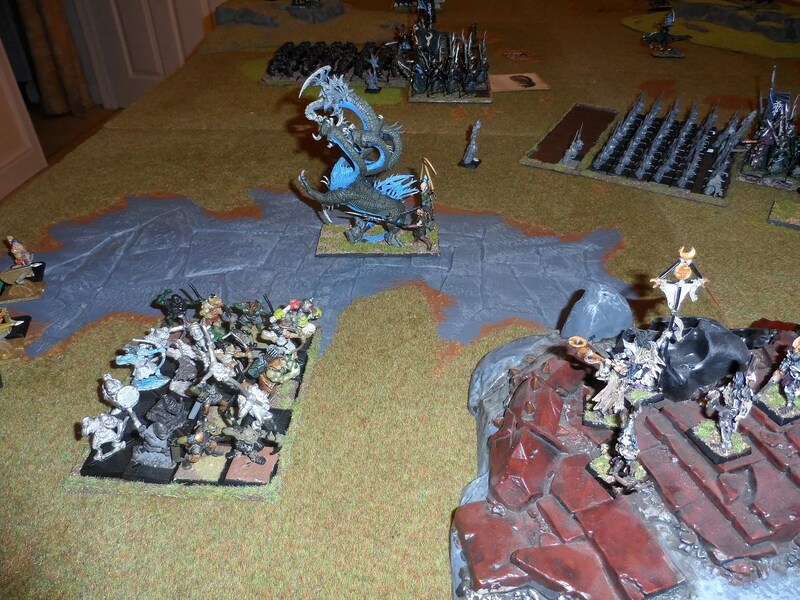 Roo has played wargames for years, has his own mancave, but is a bit rusty on WHFB. 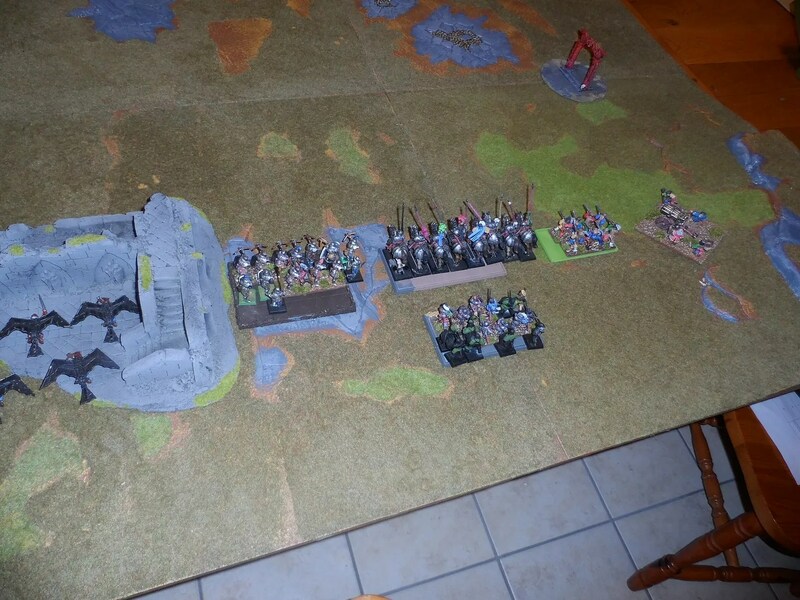 So I finally unleashed more of my Oldhammer Dwarves – all classic pre-slotta and early slotta figures. 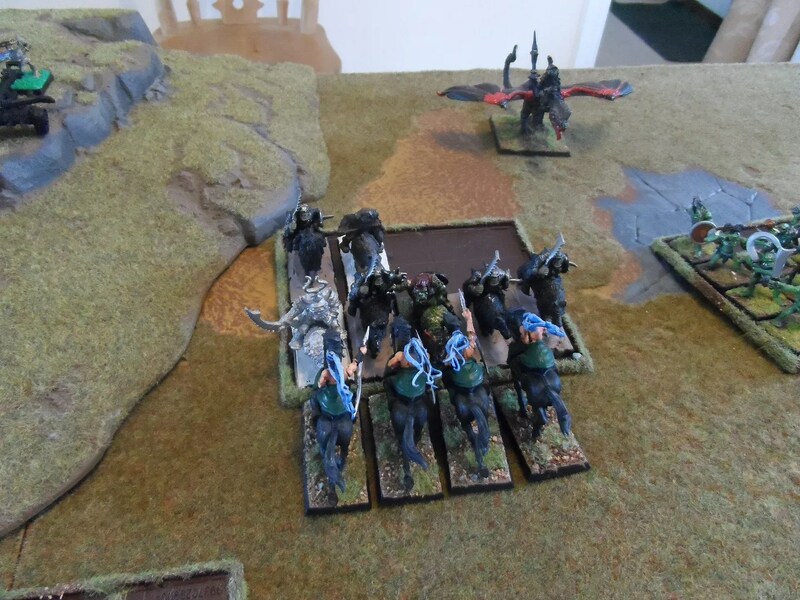 Including as you can see, the original Dwarf Bombard, and the even more fearsome Pony Express, comprised of Dwarves on ponies ! 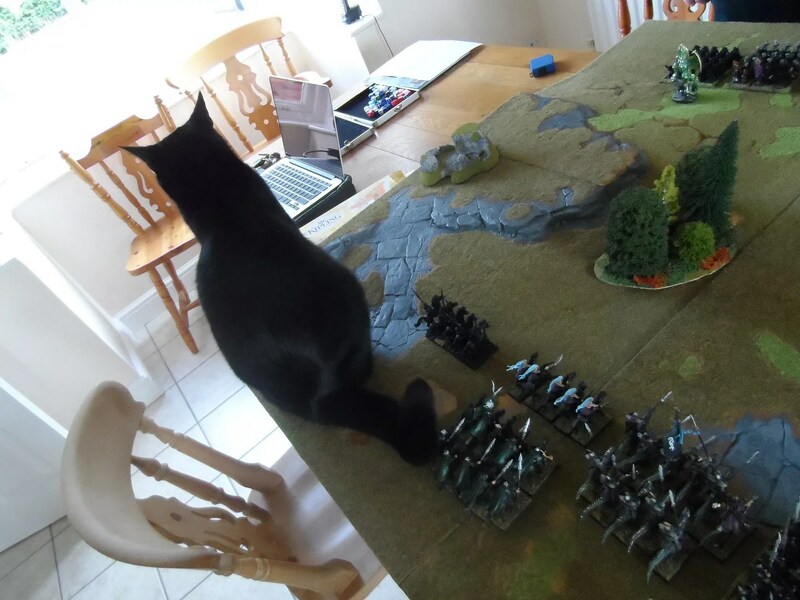 Roo fielded more Dogs of War classic regiments, such as the Birdmen of Catrazza. 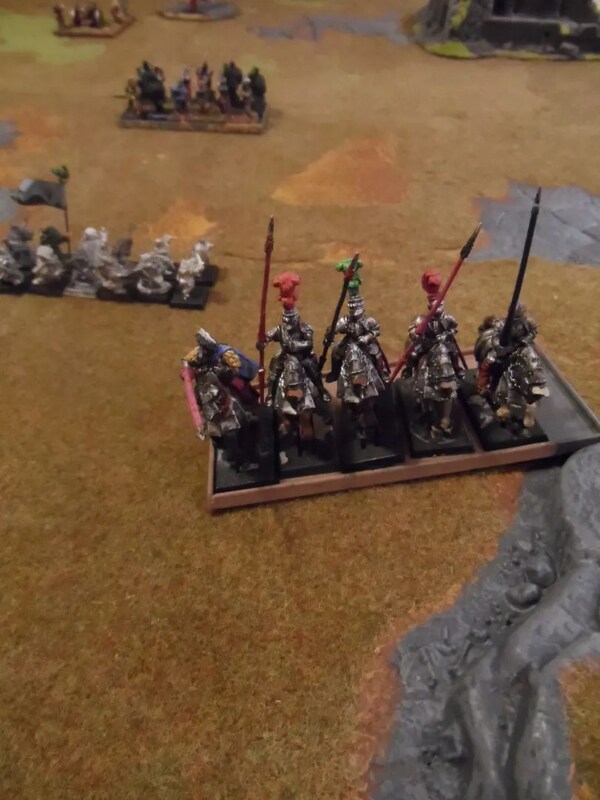 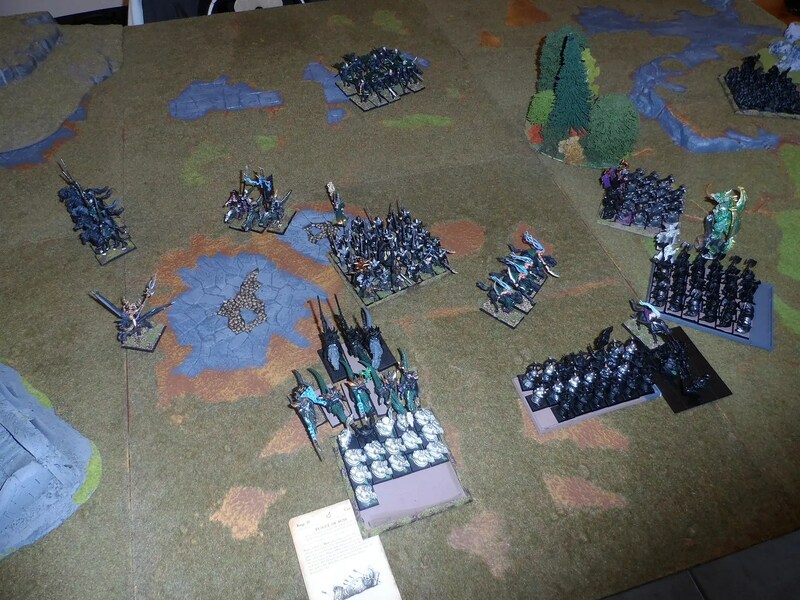 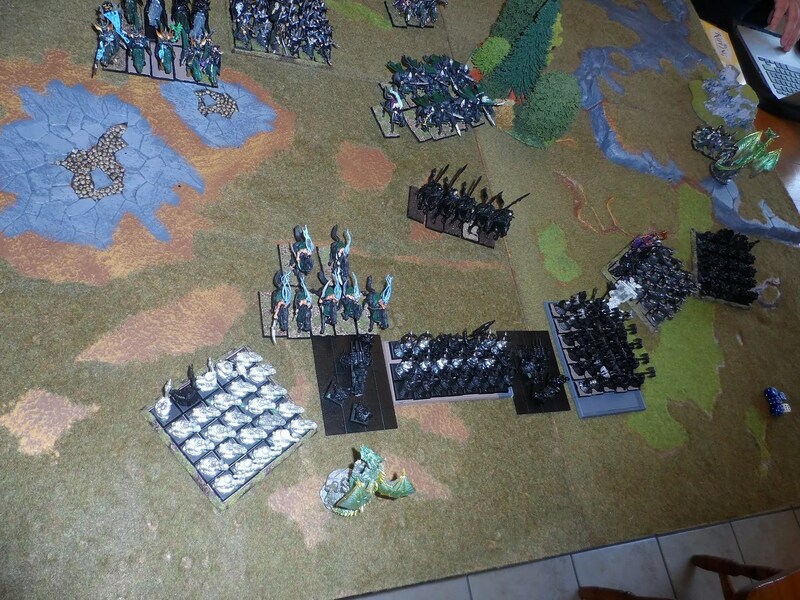 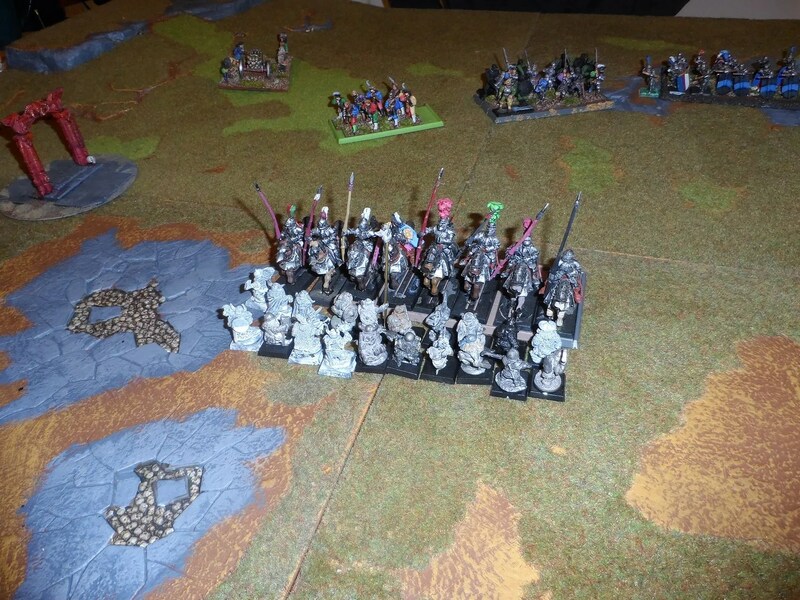 Crunch – Roo’s cavalry get to my troops first – One Eyed Sally’s Clansmen (yes I have named all the units, which guarantees their defeat). 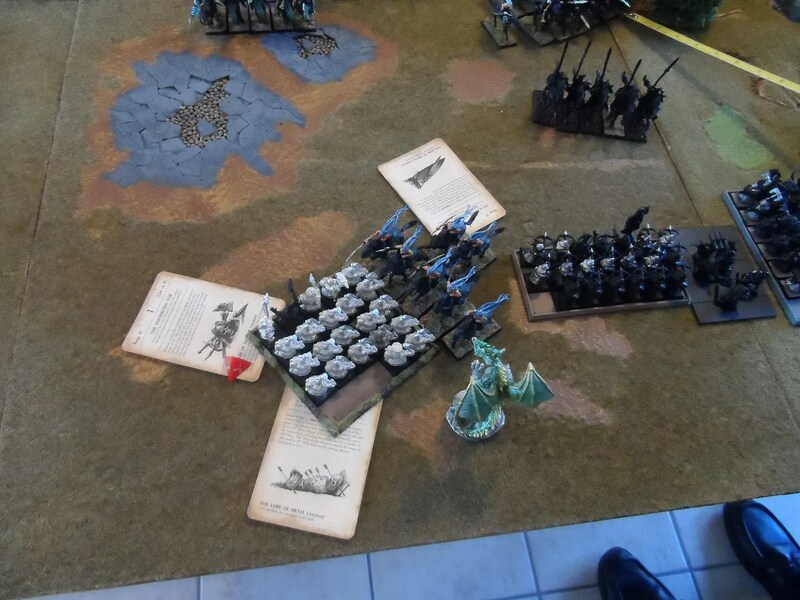 But the Pony Express charged the Birdmen who turned tail (literally) and fled, and then failed their LD test to reform and fled off the board. 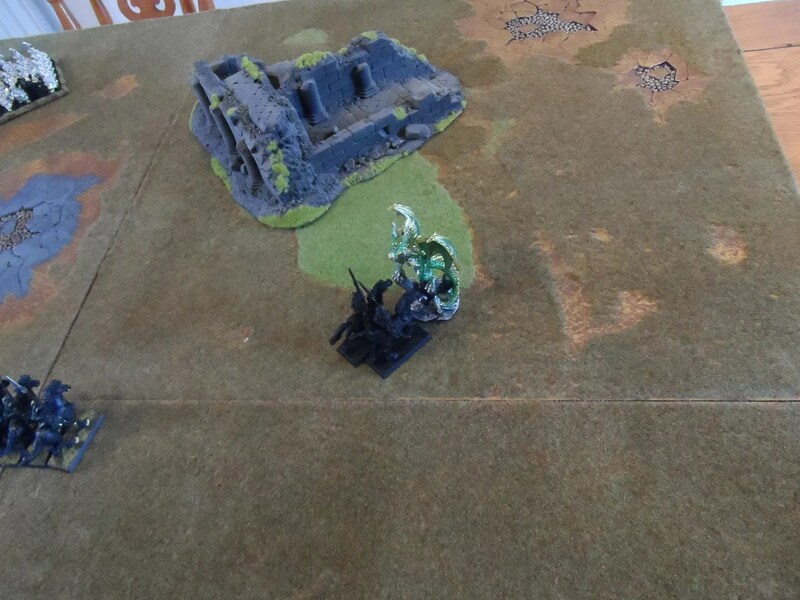 Adding insult to injury, One Eyed Sally’s clansmen defeated the knights, and Roo faield another Ld test and his knights hot footed it ! 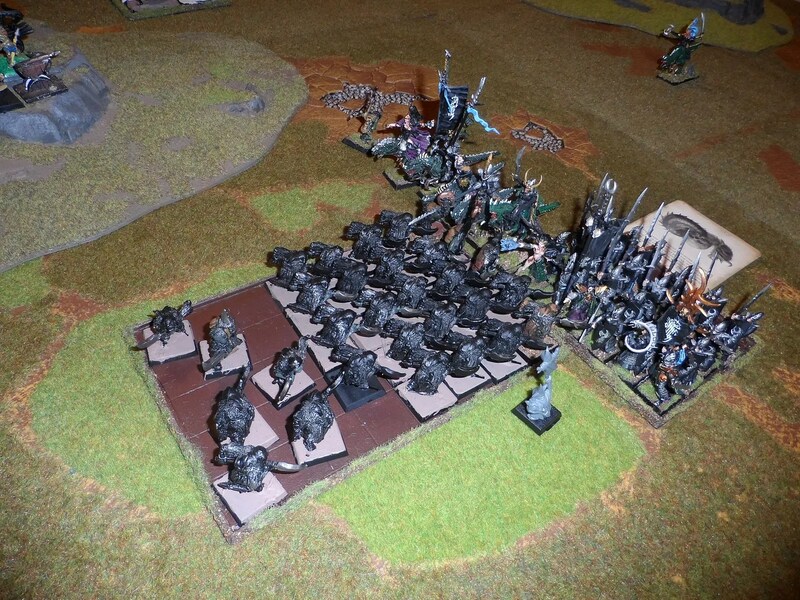 The dwarves couldn’t catch them in the pursuit though. 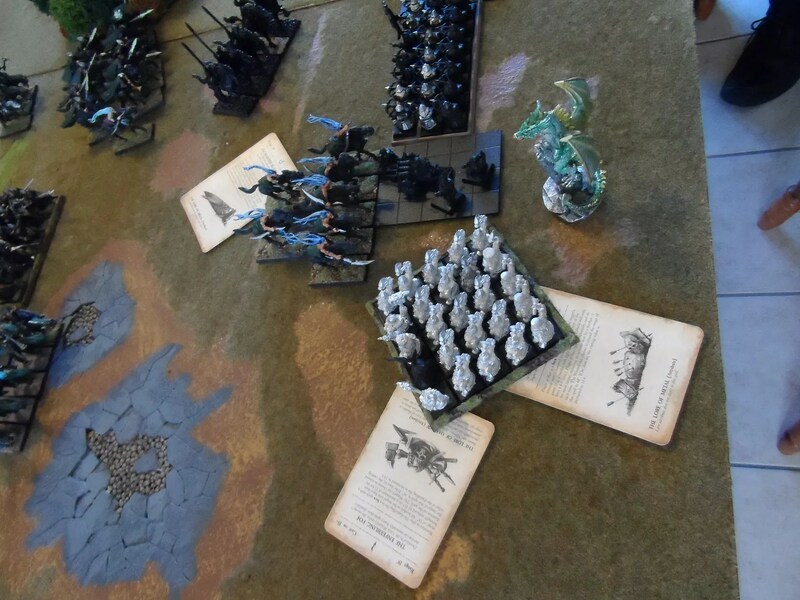 Reforming, the Pony Express charged into the swordsmen, and defeated them. 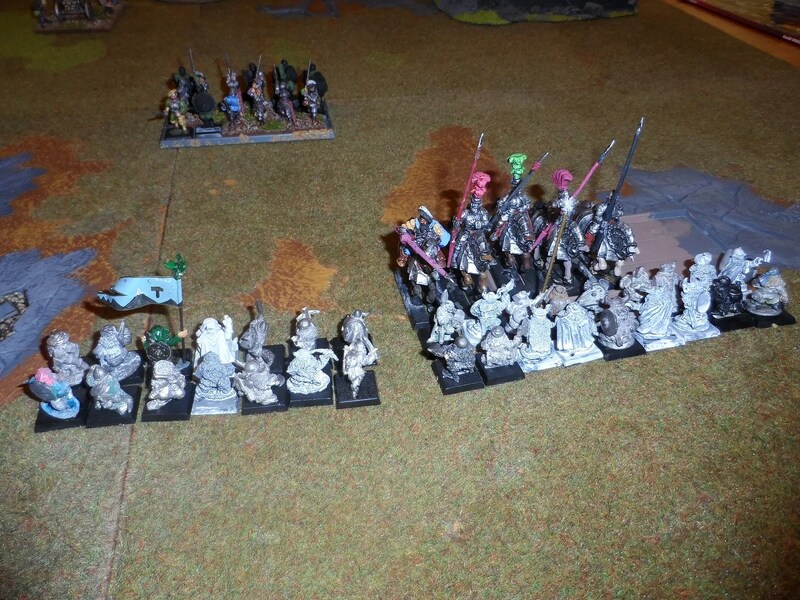 Obviously they pursued the swordsmen, but guess which K-Niggits had finally rallied and were caught by the Pony Express ? 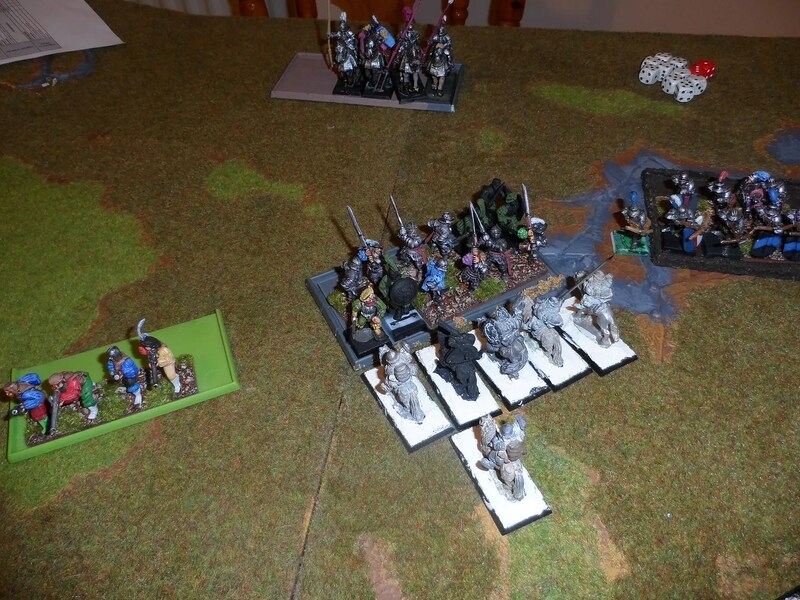 Yup, the Pony EXpress wiped out the last of the K-Niggits, and it was Game Over ! 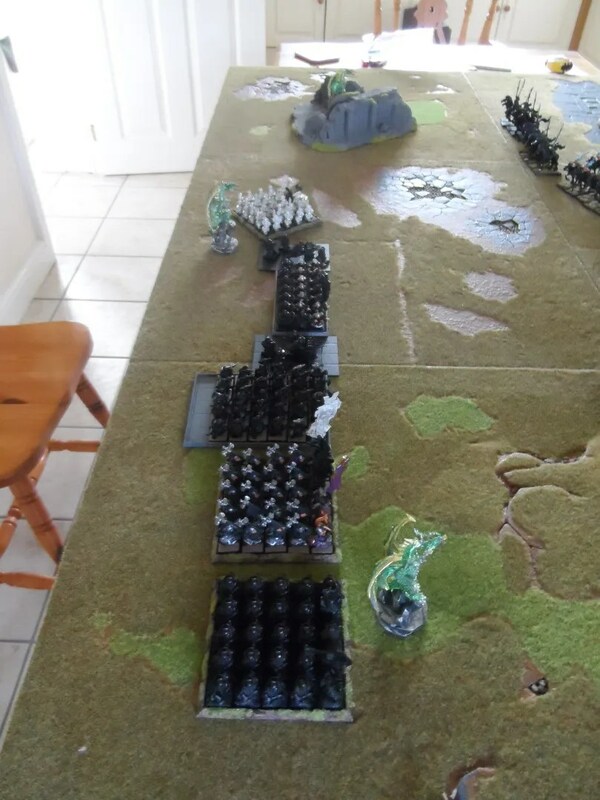 So after two games it was one all. 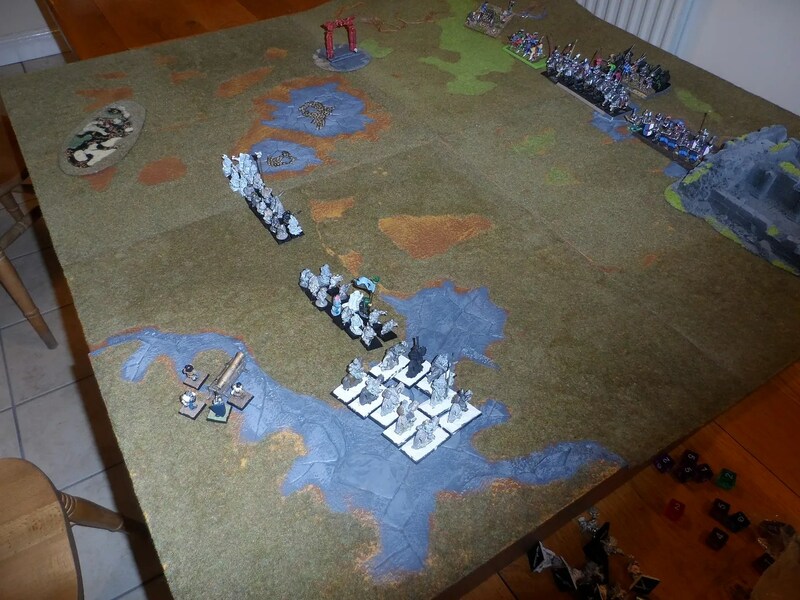 We agreed to another session the next Monday (yesterday now – its taken me that long to write this up !). 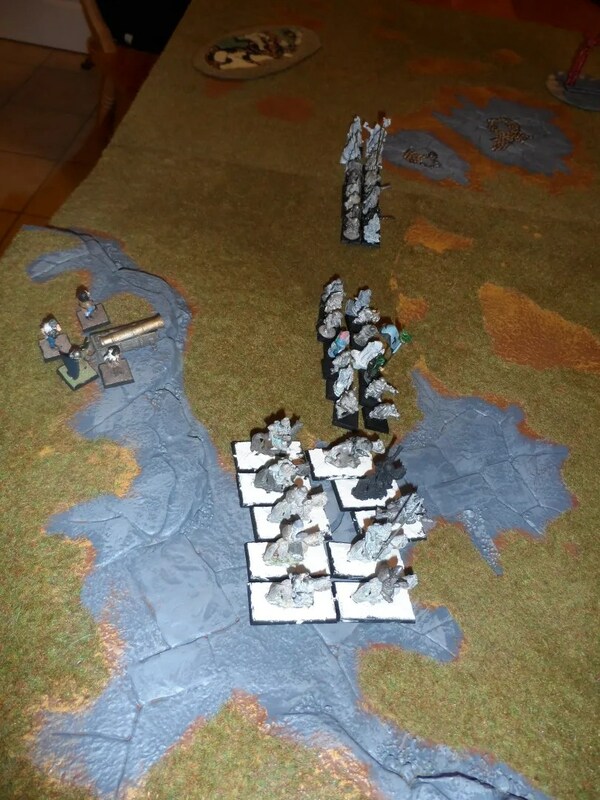 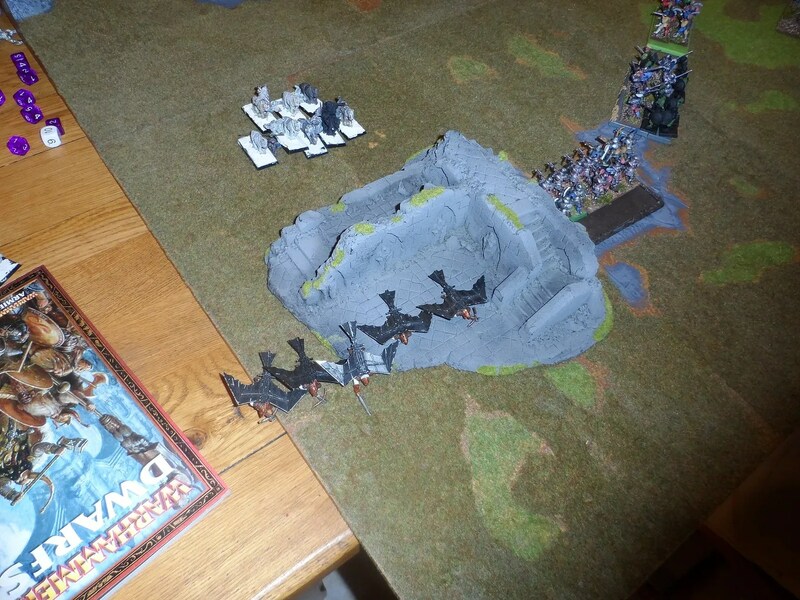 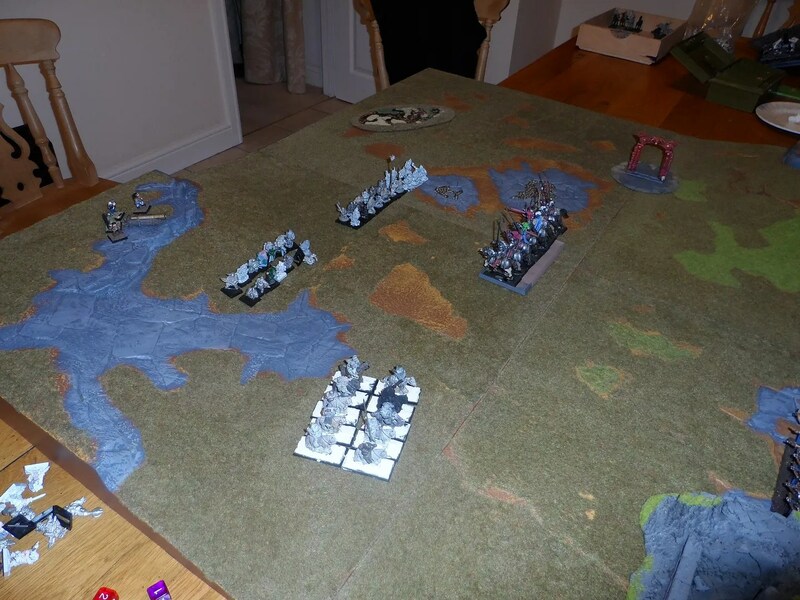 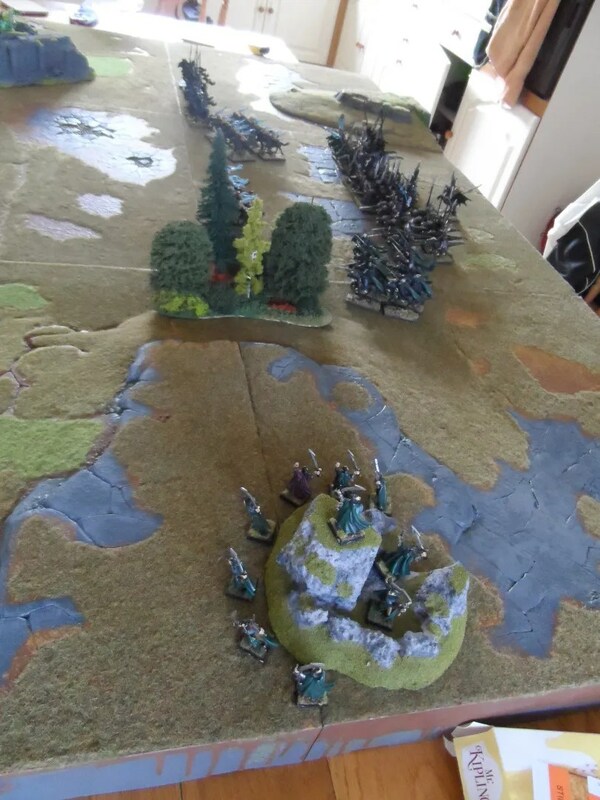 In preparation for Xmashammer, Byakhee Roo who has not had much recent Warhammer experience asked the flock for some small games to bring him up to date with WHFB v8. 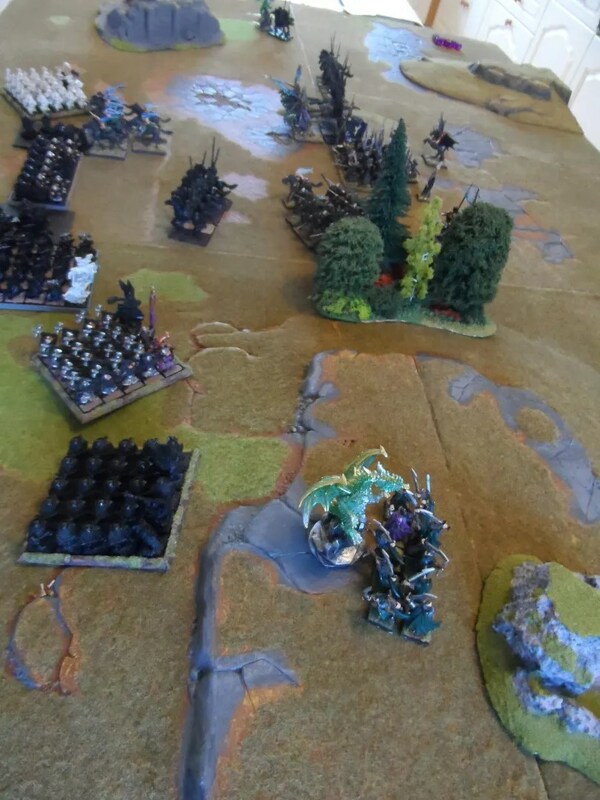 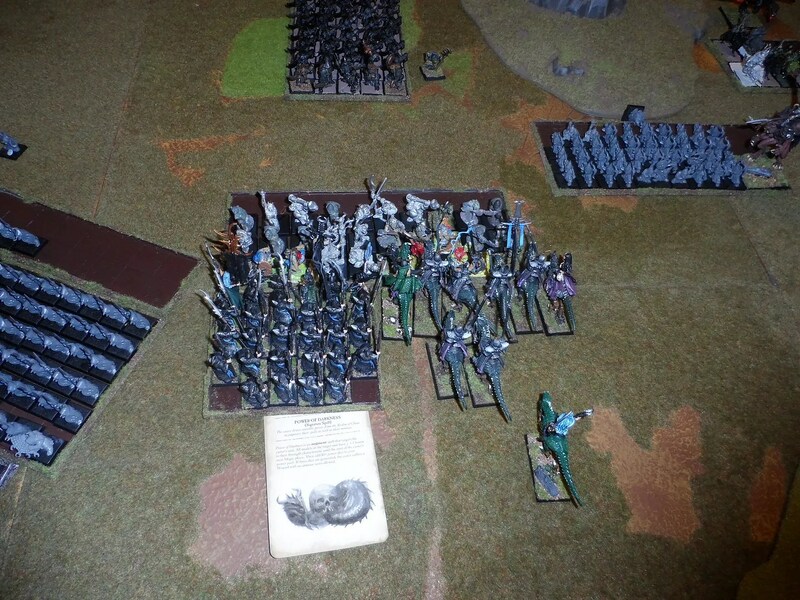 I was able to oblige, and wanted to field my Oldhammer Dwarves. 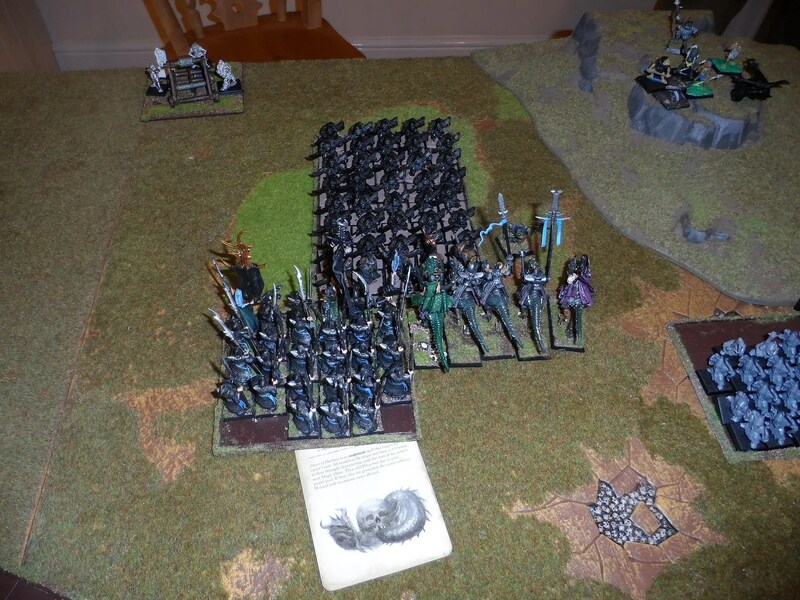 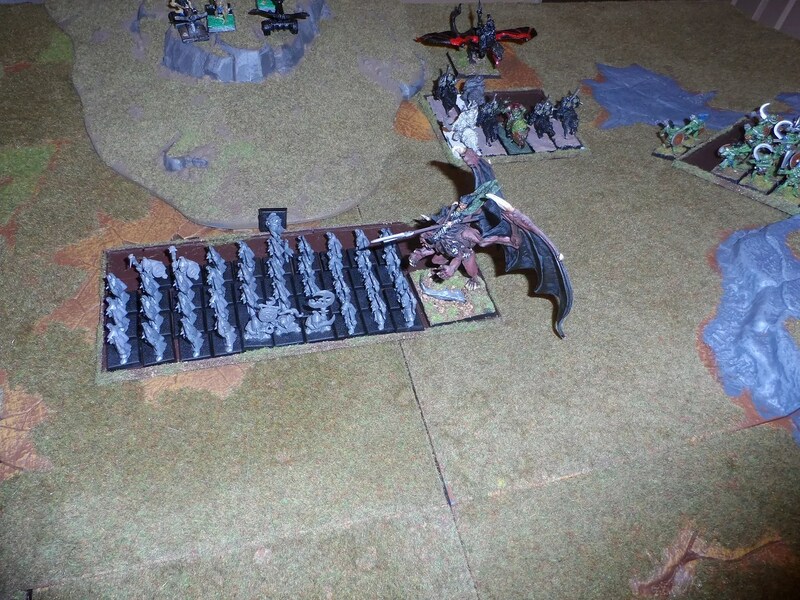 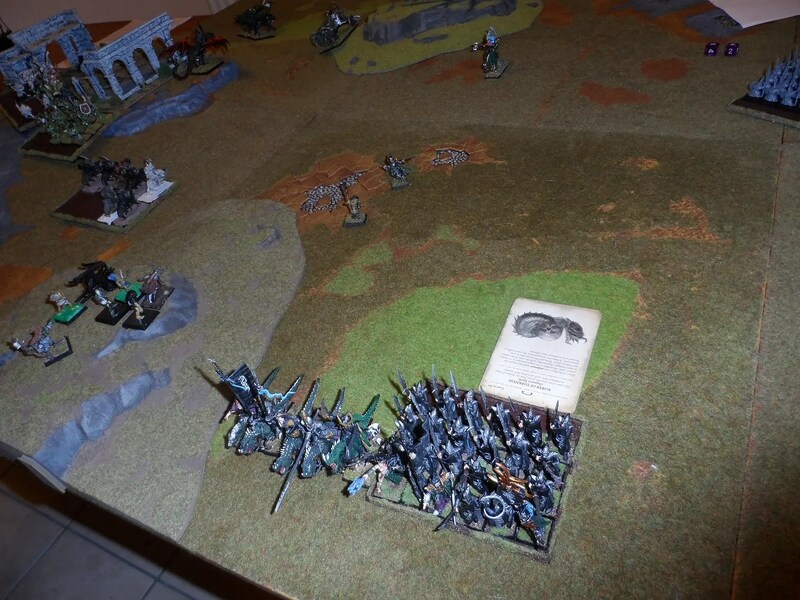 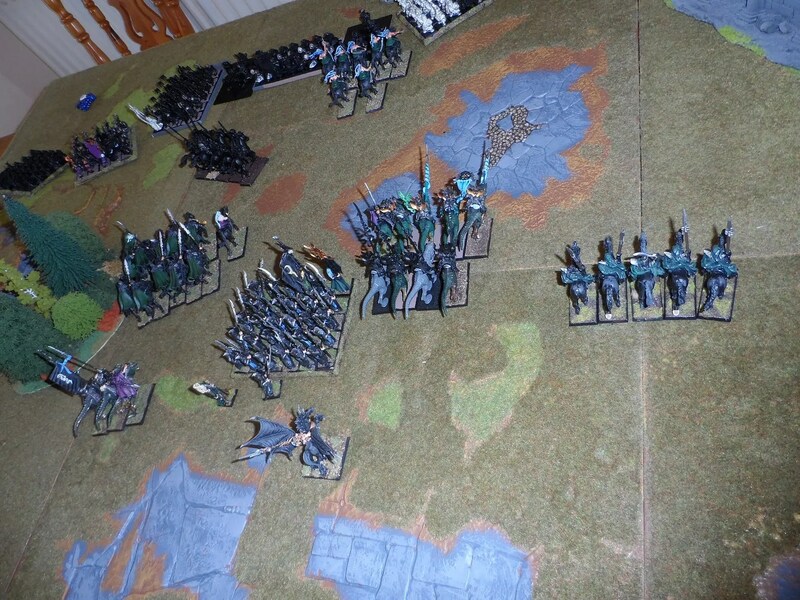 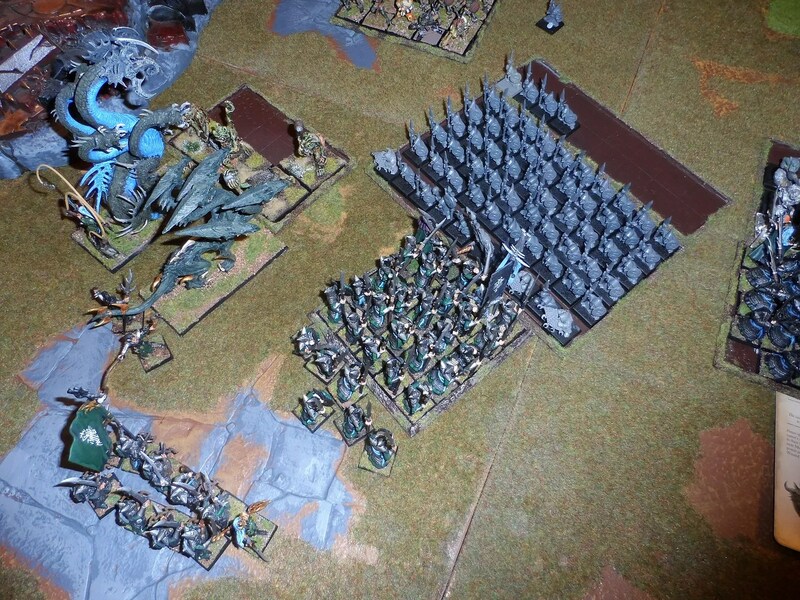 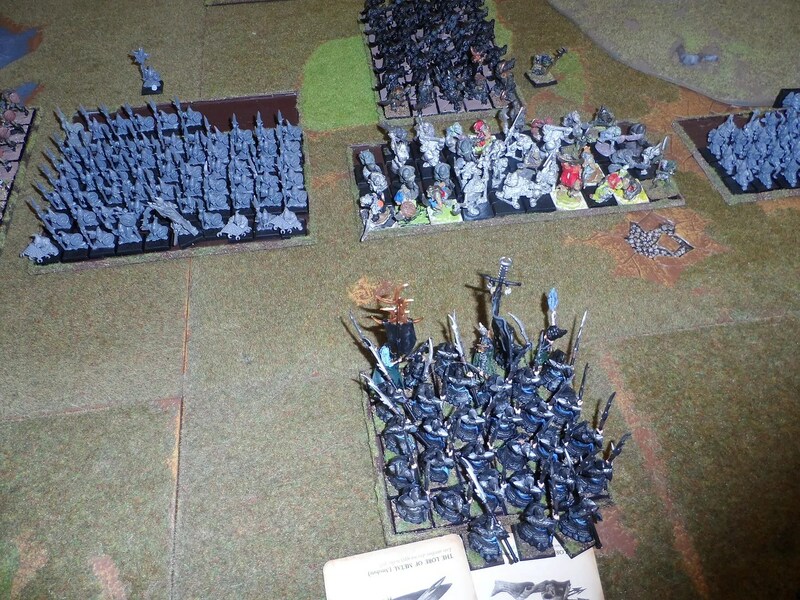 Roo also was fielding Oldhammer Dogs of War (DOW). 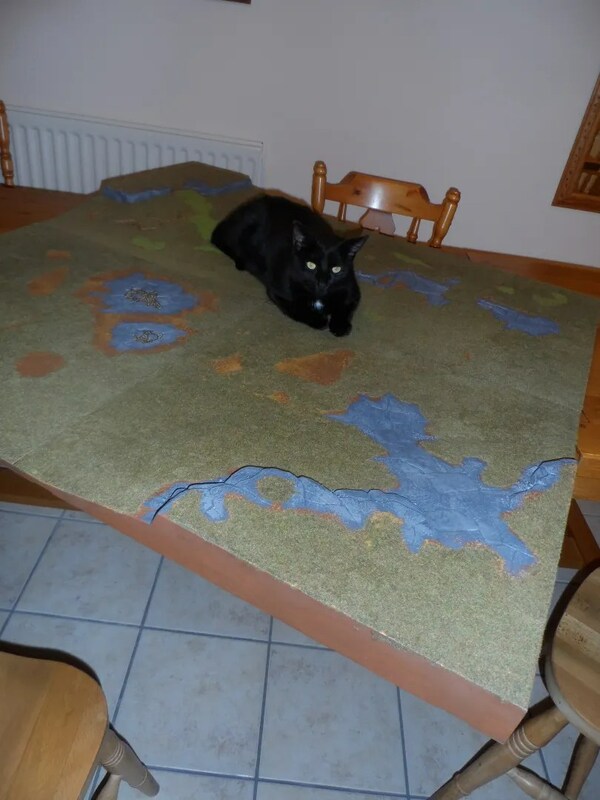 Aside from a gratuitous posting of a cat, whilst waiting for Roo to turn up after work, I managed to paint the sides of my GW Battleboard which is something that has been bugging me for the last couple of years – yet took less than 5 minutes to do. 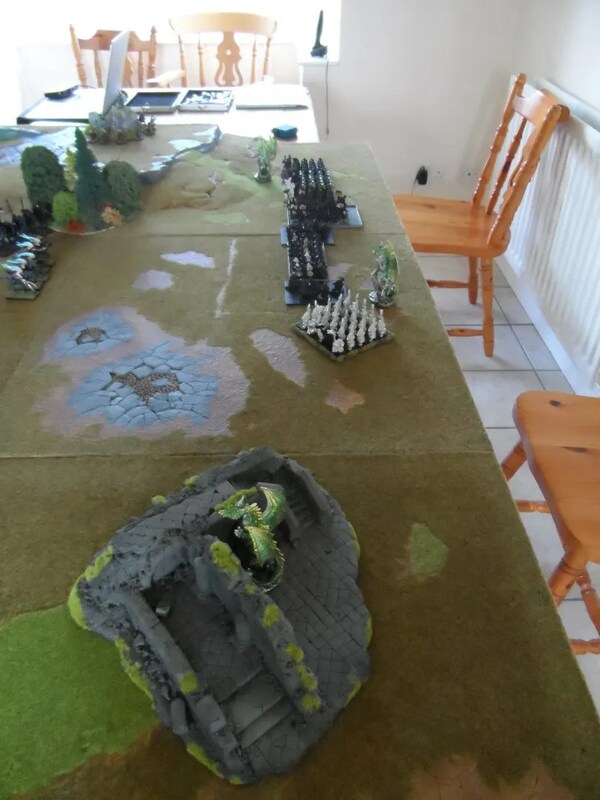 So we started off with a 500 points battle. 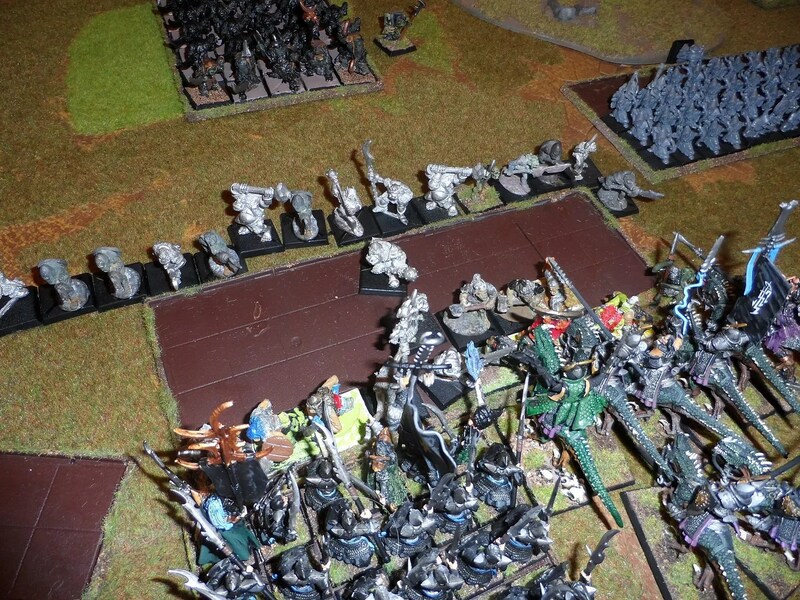 The Portal of Kittens caused disruption but made no overall difference. 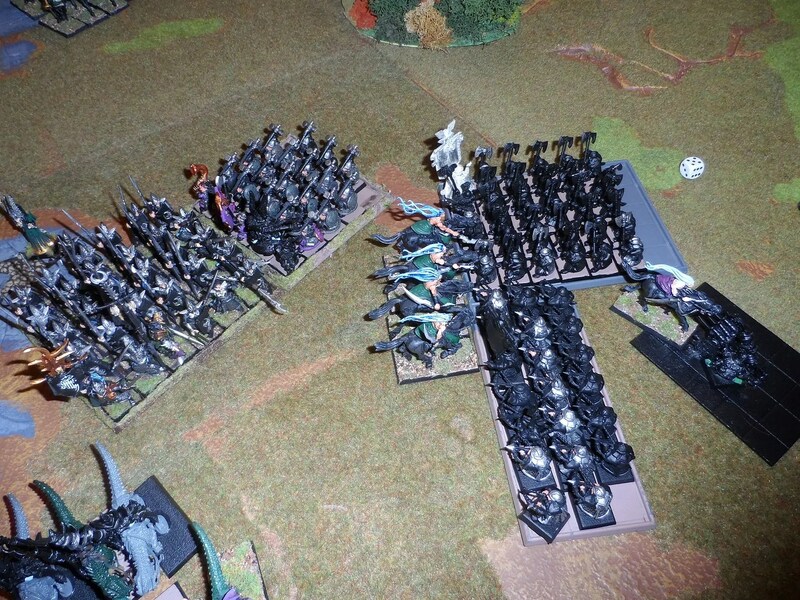 My Slayers got nowhere…slowly, being blown apart by the Organ Gun lite, and musketeers. 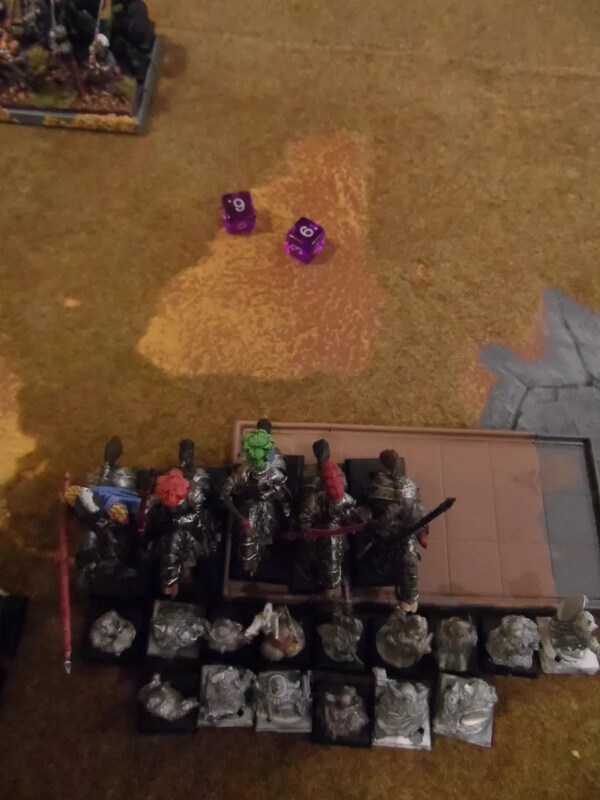 The Dwarf Clansman, lost the combat against the heavy cavalry and had to make a Leadership test…of course I rolled two 6s, ran away and so Roo pursued and wiped them up. 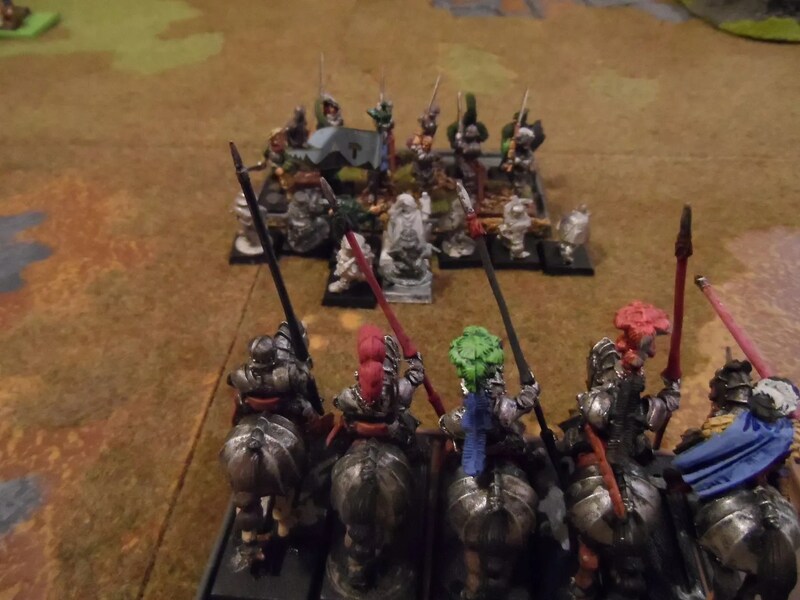 Having defeated my Dwarf Clansman under One Eyed Sally, Roo’s cavalry returned and looked likely to make Shambles’ X-Bows part of the sandwich…I threw the towel in…round one to Roo. 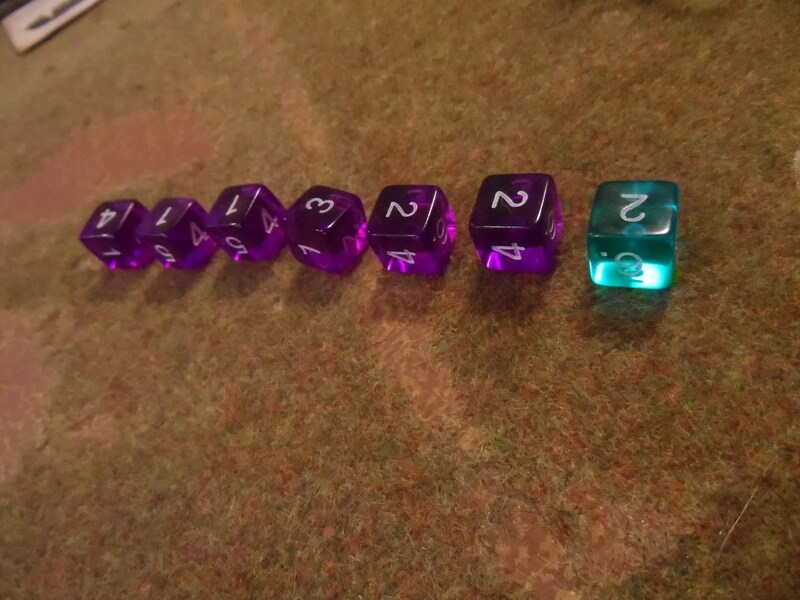 The dice were against me as Roo admitted.